Here you will find information on who are these mysterious reviewers. Not only do they give of their time, but are also wonderful people who come from all walks of life with families of their own. To purchase any of their book(s) just click on the cover. Betsie - aka M. Romero was born in Tampico, Mexico. She served a tour in the US Navy, and currently works as a nurse. Has several published works, including poetry. 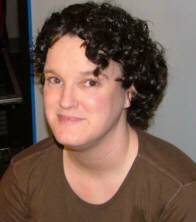 Deven Vasko - Deven, a petite southern belle from the deep south, is a freelance writer, poet, and seeker of wisdom. Recently graduating from the University of South Alabama, she divides her time between working toward accreditation for life coaching, organizing three local book clubs and creatively caring for her family. Deven is married to her longtime Belarussian sweetheart, Nicolai and mother to two wonderfully busy bilingual children, Nicolai and Juliana. 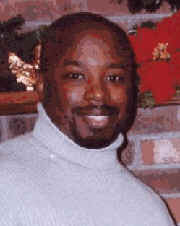 Tyrone Vincent Banks is a freelance writer, book reviewer and poet born in Hartford, Connecticut. He received an art degree from Central CT State University in the field of Graphic Design. His poetic style is influenced by the Rap genre of rhythm-and-blues music. His book, "Under the Melting Pot" was released in August 2003. Nancy Machlis Rechtman has had several children's plays produced, has written a humor column for a local women's magazine and has had poetry published. 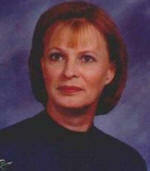 Susan Weekly is a former kindergarten teacher and Child Care Director. For the last 12 years she has worked in the Customer Service field for two different companies. The sequel Cherokee Rose on sale now.